More than 14 years ago, Ultimate Fighting Championship (UFC) would make a decision that changed the future of mixed martial arts (MMA) and brought the ZUFFA-owned fight promotion into the mainstream culture. The Ultimate Fighter (TUF) combat sports reality show, which made its debut on Spike TV in January 2005, featured eight middleweights and eight light heavyweights competing for a “six-figure” contract under the tutelage of head coaches Chuck Liddell and Randy Couture. Who at the time, were close to wrapping up their epic trilogy. 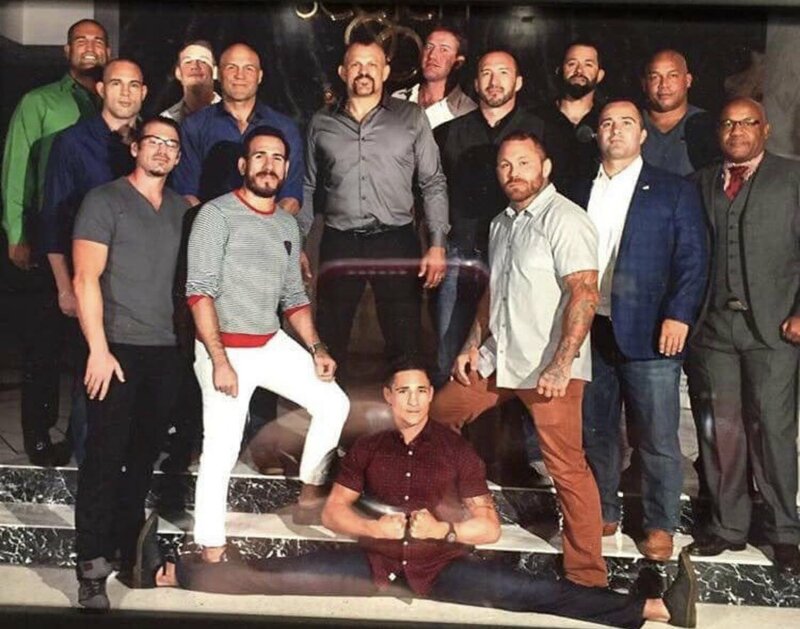 The original cast included Light Heavyweights Bobby Southworth, Sam Hoger, Forrest Griffin, and Alex Schoenauer from Team Liddell along with Stephan Bonnar, Mike Swick, Lodune Sincaid, and Jason Thacker from Team Couture. Griffin, who would earn a Hall of Fame spot for his industry-defining finale opposite Stephan Bonnar, went on to win the light heavyweight crown in summer 2008. Representing Middleweight was Team Liddell’s Josh Koscheck, Diego Sanchez, Kenny Florian, and Josh Rafferty who opposed Team Couture’s Nathan Quarry, Chris Leben, Alex Karalexis, and Chris Sanford. Sanchez and Florian would eventually drop as far down as featherweight, but came up empty in future title fights along the way, as did Koscheck and Quarry. See who you can spot — and no cheating! News, Photos, Re-posts of everything MMA!